Give Movesets, Evs and Items please. http://pokemondb.net/pokebase/2613/what-is-a-good-moveset-for-a-blissey? - movesets here. Nearly all are defensive based. With her massive specially defensive stats, Blissey is the best special wall in the game. She can freely switch into nearly any special move, heal off the damage, and then either stall the opponent out with Toxic or slowly whittle it down with an attacking move. 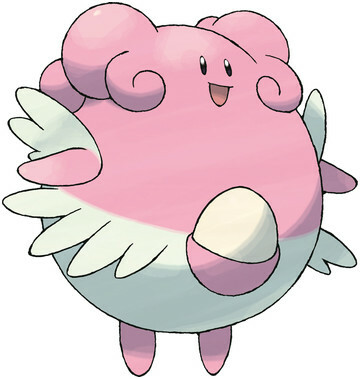 Wish allows Blissey to heal both herself and her teammates, while Protect lets Blissey scout your opponent's move and stall for Wish healing, but Softboiled can be used to instantly heal Blissey while she uses Wish to heal her team. Seismic Toss is the superior attack as it hits all Pokemon—except Ghost-types—for 100 HP damage, but Flamethrower lets Blissey do more damming to Steel-type switch-ins, such as Scizor and Lucario, and also hit Ghost-type Pokemon. However, Flamethrower leaves Blissey walled by Heatran. Toxic rounds off the set, and works well alongside Wish + Protect to allow Blissey to stall out her foes.